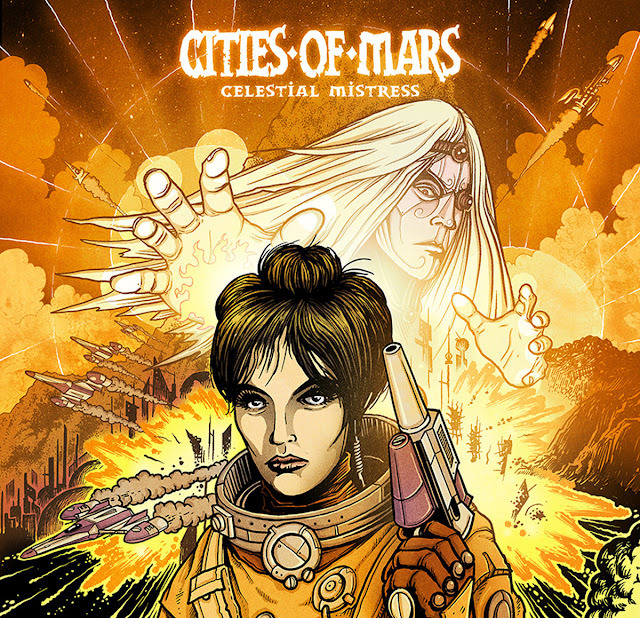 Brief Bio/Description: After a critically acclaimed debut two-track single in 2015, Gothenburg-based psychedelic doom metal trio CITIES OF MARS release the follow-up EP. These three tracks continue to delve into the dark saga of the Soviet cosmonaut/KGB agent Nadia that landed on Mars in a covert mission in 1971 and discovers a buried civilization dating back to the dawn of time. For fans of Mastodon, Elder, The Obsessed, Sleep , Kylesa and others. Cover art by Axel Widén, www.axelwiden.com.